1. Heat oil in a large pan and fry the onion for 3 minutes, or until lightly browned. 2. Add the garlic, green pepper and TOP CLASS Mild Curry Powder and cook for 2 minutes. 3. 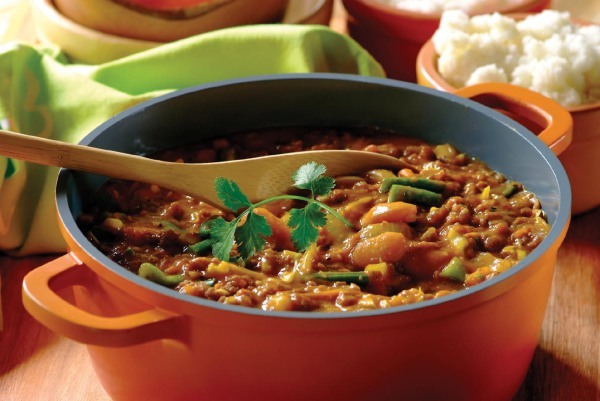 Add the IMANA Chakalaka Flavoured Super Soya Mince, water, rest of the vegetables, excluding the tinned Butter Beans, and cook for 10 minutes. 4. Then add the beans and cook for a further 3 -4 minutes and allow to heat through. 5. Serve with hot pap. 1. Mix 400g IMANA Beef & Onion Flavoured Super Soya Mince with 1,5 litres of cold water. 2. In a pan heat 2 tablespoons cooking oil (30ml), and fry onions for 3 minutes, or until lightly brown. 3. Add 2 Teaspoons (10ml) TOP CLASS Mild Curry Powder and stir. 4. Add the mixture of IMANA Beef & Onion Flavoured Super Soya Mince and stir. 5. Add frozen vegetables, stir and let it cook through for 5 minutes. 6. 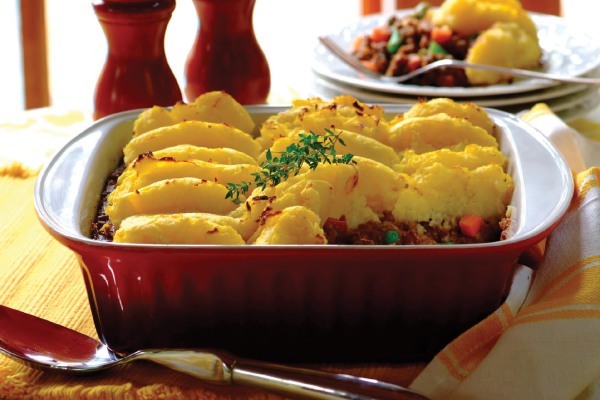 Pour the mixture in an oven proof dish and set aside while you make the topping. 7. Boil Butternut and potatoes together until soft then drain. 8. 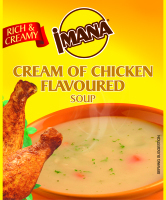 Mash together hot potatoes and butternut with IMANA Chicken Super Stock Cube and milk until light and fluffy. 9. Spread the mashed topping over the mince mixture. 10. Bake in a 180°C oven for 20 minutes, or until golden brown. 1. 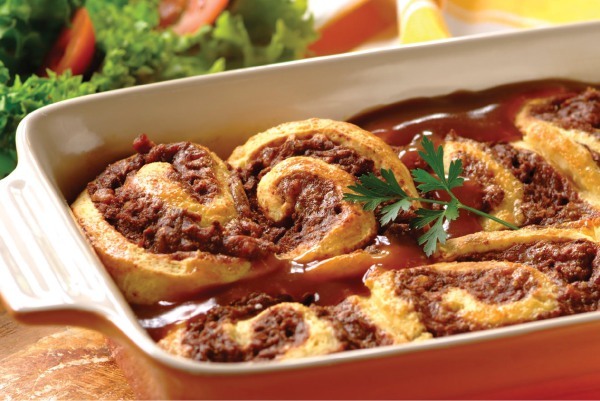 Place the IMANA Oxtail Flavoured Super Soya Mince and 500ml of water in a saucepan. 2. Bring to the boil, stirring and then lower heat and cook for 5 minutes or until thickened. Cool completely and add cheese. 3. Sift the flour, IMANA Cream of Chicken Soup and baking powder together and rub in the margarine, until the mixture resembles fine breadcrumbs. 4. Beat the egg and milk together and cut into the flour mixture to form a soft dough. 5. Roll the dough on a floured board into a rectangular shape about 1 cm thick and spread the soya over the dough then roll up like a Swiss roll. 6. Brush with beaten egg then cut into slices and arrange these lying down in a greased baking dish. 7. Bake at 220°C for 15 - 20 minutes or until golden brown.